It’s easy to envision that other people’s paths (career or otherwise) are somehow smoother than yours. It can feel like that, but I have to remind myself that I don’t actually believe success comes from making “ultra productive, wise decisions” all the time. The “continually-trying-to-figure-things-out” shuffle goes hand-in-hand with a professional creative life. You can practice mindful decision-making to increase your chances of a favorable outcome, but that doesn’t make you immune to challenges. And sometimes challenges are exactly what we need to get clear about our priorities and make the next right choice. To remind us that working toward a goal is typically more awkward than elegant, here are seven — seemingly unpleasant — signs of progress. It could be a content creator who doesn’t respond to your collaboration request or a site that rejects your guest post idea. The first time I sent a guest post pitch to Copyblogger, I didn’t hear back from the team. But that “no” was an indicator that I was trying something new, and it helped me focus on doing some serious work. If either no one looked at my pitch email or they just weren’t interested in my idea, I decided to trust that we weren’t a match. “Trusting” didn’t mean that I gave up, though. I found a blog that wanted to publish my article, and I invested time in finding the right sites for all the guest posts I wrote. Three years later, Copybloger asked me to guest post for them. That original “no” was a priceless part of my growth as a writer. Just because someone tells you “no,” it doesn’t necessarily mean they don’t like you or your work. You can’t take “no” personally. Other times, people will actually dislike your work, but you can’t take that personally either. If everyone in your audience has the exact same perspective, your audience probably isn’t that big. But if you reach new people on a regular basis, you’ll encounter someone who doesn’t like what you do. They might even tell you about it. This is the internet, after all. You should celebrate when your content has extended beyond your “yes” community and landed in front of people with different opinions and worldviews. It’s a tough thing to get used to, but you can say “no,” too. To help you move passed those nerves, consider what will benefit your business in the long run: a crappy client or more time to market your business? If you’re worried about financial responsibilities, many writers have other jobs that have nothing to do with writing while they also work on their craft. Having that type of balance in your life gives you peace of mind. Your monetary obligations will be met, and your writing and marketing sessions will be focused and passionate. Low-paying, time-consuming clients are not only frustrating, they can cause you to grow bitter about writing. It’s smart to assess how you want to spend your energy, so that you make the most of your time. Turning down a client who isn’t right for you is a turning point in your career. After you’ve outgrown a client and ended a contract with them, you may feel like you wasted time doing unsatisfying work. Remember that you had to gain experience before you were confident enough to say “no” and realize that higher paying clients who offer higher quality work are what you’re looking for. Past clients weren’t a waste of time; they were a part of building your business. Investing time in research for your own marketing might not always produce an immediate payoff, but it’s never useless. At the very least, writers who make their own continuing education a priority are attractive to clients. Learners: 1, Know-It-Alls: 0. 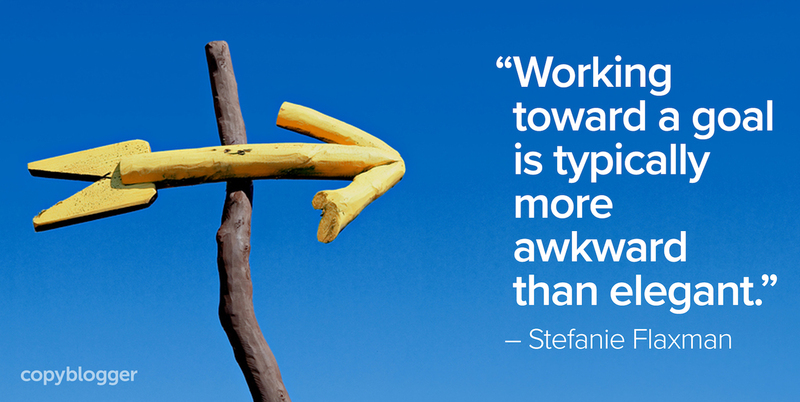 Research can also help you get a head start on future work. Do you know what gets me out of bed in the morning? Every day is an opportunity to practice the things you care about. It could be gratitude, listening, communicating clearly, or writing. The original introduction to this post had another section that I cut out, but working on it got me in the flow of writing so I could complete an outline of the article. Any time you spend writing a draft is an excellent practice session. I think your comfort zone gets a bad rap (that’s probably another post, stay tuned), but being uncomfortable is still a sign of progess. With a strong foundation in place, you’re better positioned to handle the challenges that may arise on your journey. Creative Foundations, our new course for content creators, will help you build any digital asset on a rock-solid foundation. You can use these techniques for blog posts, podcasts, a video channel, or any other content marketing project. The course will open to new students in just a few weeks, so drop your name and email below if you’re interested in getting more details! It’s good to know how things changed with time, at first your proposal was rejected but then they contacted you to write for them due to your good work somewhere else. You’re right about people not liking your work, it’s impossible to make everyone happy. No matter the niche or what you do, it will be people who don’t like your work. Past clients will never be a waste of time, it was work, money, experience and more content for your portfolio. Great content going straight to the point with simple examples. So true in every point! I recently spent a great deal of time and effort to sign a client who, in the end, decided he just wasn’t ready to move forward with his project. What feels like a slap sometimes, I have learned, is often a matter of timing somewhere. Learning to not take offense when things “go wrong” keeps you on track. And many times, in the end, what I think might be gone for good just turns up later. I move on to the next one in line and keep going! Great content! Thanks for sharing. I love your attitude, Jane! I love your article here. Basically, what you are saying here is that challenges and failures are what will propel you to success. When you are working hard and being very productive with your time and effort, you will get these “No’s” and you will get rejected, and get very uncomfortable, and these are all signs that you are moving forward. It’s better to experience these and know that you are actually taking action than being afraid of such things and handicap your possible success. Thank you for sharing these points! Absolutely a great article. Just feel like it’s 100% relevant to me. I work very hard and think success will come. When I’m failing, i think it was all for nothing. But instead, I learned. It was an experience. And I grow every day. Instead of feeling lost, I have to feel motivated to keep going and build useful, wonderful content and tools for everyone who gets better from it! Great stuff Stefanie. Very much felt at home on “You turn down a client”. Frustrating clients can be a creative drain. It’s an uphill task to educate them on content strategy and goals. And at the end of the day turning down a frustrating client and putting the energy to market your wares is the best option. This is a tough act if you are a startup. Thank you for reiterating the point. It’s definitely tough to get used to turning away a client — partly because it takes a lot of practice to swiftly determine if you’re dealing with standard service business issues or frustrations that are unnecessary and avoidable. When you are sure the frustrations are avoidable, then it’s easier to feel confident about moving on and focusing on working with a better match.